On Thursday 16th May 2013, I organised a charity evening in memory of a close friend and in aid of LATCH. For those who don’t know what LATCH is or what they do, well listen up. 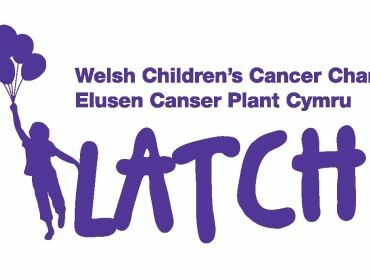 LATCH was formed in 1982 by a group of families and friends who recognised that children, who were diagnosed with cancer or leukemia and their families, not only needed medical support, but also social and welfare support to ease the huge financial and emotional burden placed on families with a child in treatment. 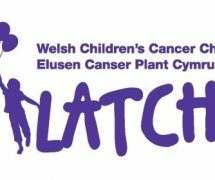 The reason I decided to put on an event like this as I recently lost someone who was close to my heart and they were supported by LATCH during their illness. I was kindly supported by Tonyrefail e3+ department, Wicid.tv and Services for Young People in organising this event and getting local musicians and companies to take part. The event kicked off with the hosts for the evening who were my brother and I, saying a few words on how the evening was going to run. The first entertainment of the evening was a local girl who was aged 14 from Tonyrefail Comprehensive School, Rebecca Cope. Rebecca performed a few songs by Adele and a range of various artists. After Rebecca, the next act of the evening was another local girl and a friend of my family, who has also performed at a number of Tonyrefail e3+ events such as the Tonyrefail Urban Festival and e3+ Rock School gigs. Rachel Jenkins is a talented musician and sings both cover songs and originals. Rachel performed songs she wrote herself and a few covers, and she then finished her set which she wrote for the person close to my heart who this charity event was about. After the second act, it was that time of the evening where I was going to do my fundraiser which I chose to do to show the things people have to go through when suffering with cancer. For my fundraiser I was going to have my head shaved down to a 0.5. Then the 3rd act of the evening was a friend of my brother who currently studies at Bridgend College and a local Tonyrefail boy, Dan Barnes, who performed a number of songs he wrote himself. After Dan, it was time for a local band who have not long started playing live gigs, they are all 13 years old who are, The Pitchforks. They played a number of songs by Nirvana, Green Day and AC/DC. After The Pitchforks finished their performance, there was a disco which was kindly provided by Naylan Shooting-Stars. The final act of the night was Wicid’s very own Battle of the Bands winners 2012, The Broadcasts, who performed a number of their songs such as, Silvertown and This Kingdom. 10.15pm came and the evening came to a close and it was time to count up how much money had been raised for LATCH. And the total amount raised for LATCH was a massive £330.00. I would like to thank all musicians, volunteers and friends who helped me with this event and making it a great success. But a big thank you goes to Wicid.tv and Rhondda Cynon Taff Services for Young People for helping advertise the event and filming and photographing the event.